Pirates & Privateers : What exactly is Piece of Eight? Question of yo ho a pirate's life for me !!!! (04.05.2016): What exactly is Piece of Eight? 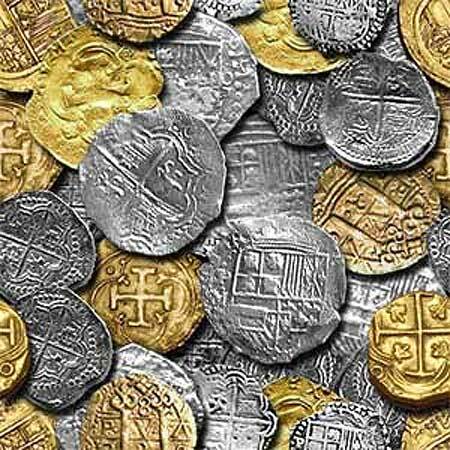 A: The eight coins (also known as the “real de a ocho”, “Spanish dollar”, and the “eight-real coin”) were minted by the Spaniards from the silver from the New World (the Americas). They are often cut into pieces to serve as a small change because their value was calculated based on their weight in precious metal. The piece of eight traveled a lot in the coffers of the Spanish ships for several hundred years, and became the current pirate booty. A piece of eight was worth 8 silver reals (8 times 1 real). See all the currency equivalents of the piece of eight here. Why do boats disappear in the Bermuda Triangle? I'm a writer and I would like to know whether there are very specific first names of pirates or there are some that would be better. And the last names? Thank you for your cooperation!